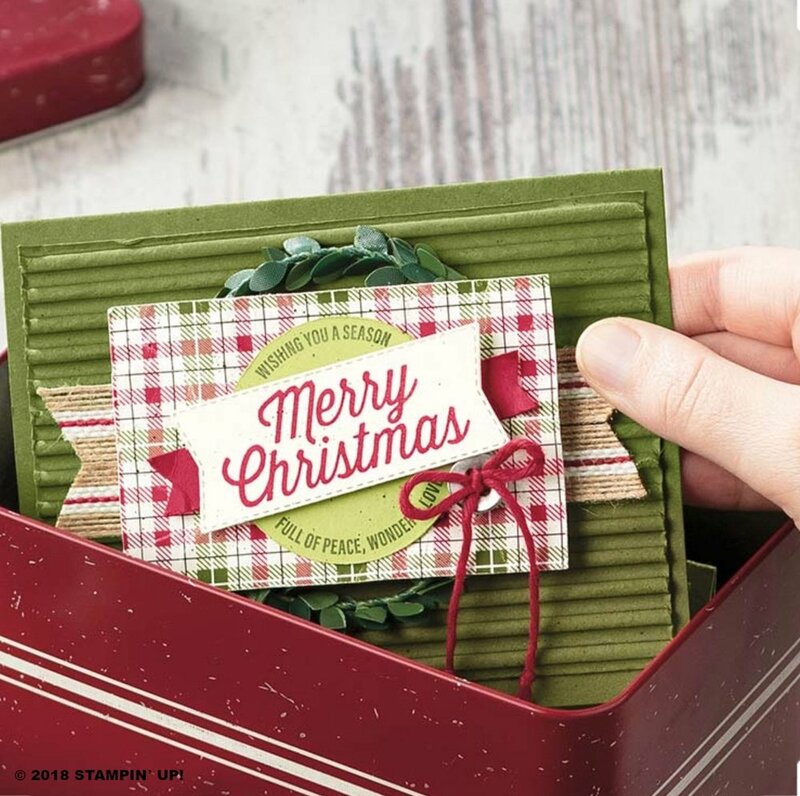 This week I’ll be featuring the Corrugated Dynamic Textured Embossing Folder from the 2018 Holiday Catalog. I used to have one of those crimpers that you would put the cardstock through to get this look but this embossing folder is so much easier to use. Here’s a sample from the catalog. Embossing folders add so much dimension to your project and they are so easy to use. Check in tomorrow for a quick tip and the rest of the week to what I plan to make using this embossing folder. You can click on the product below to purchase it from my Online Store.